This marine CSEM project will use a newly developed surface-towed marine electromagnetic Porpoise CSEM array system that is owned by the Scripps Institution of Oceanography EM laboratory. 2D and 3D CSEM inversion algorithms will be implemented to image and characterize the spatial distribution and interconnectivity of submarine groundwater systems offshore the island of Hawai‘i. Schematic illustration of the Porpoise surface-towed CSEM system. The marine CSEM survey layout: The red lines denote the parallel survey towlines, whereas the black lines represent the survey crosslines. Right inset: Bathymetry/elevation map of the island of Hawaiʻi. The survey area is indicated by black rectangular. Survey total coverage: Data was acquired along 15 survey lines offshore the island of Hawai’i, parallel to the Hualalai groundwater system. The color bar represents bathymetric depth that ranges from 10 m (red) to 100 m (blue). Time-lapse of surfaced-towed CSEM, Multi-Beam, and Sound Velocity Profile Instruments Recovery. 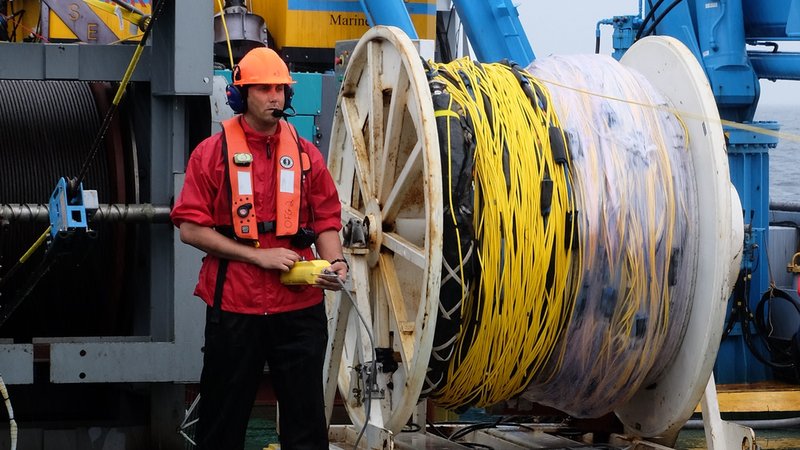 Marine CSEM geophysicist for the University of Southampton (Ph.D. project). 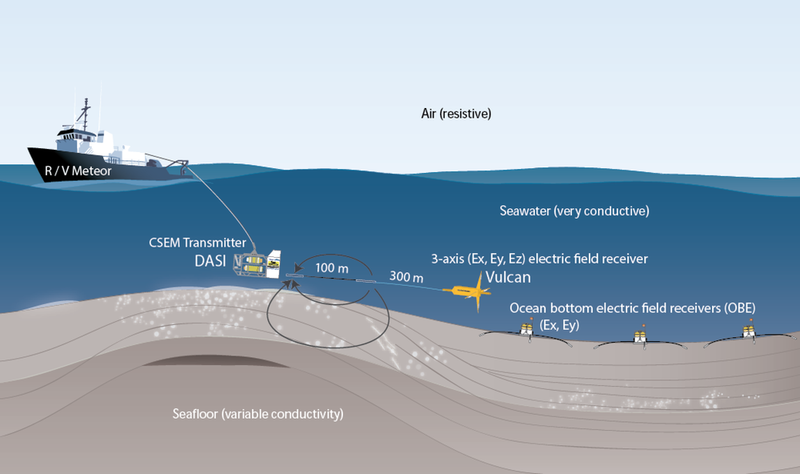 The development of a robust controlled-source electromagnetic (CSEM)-seismic-rock physics joint-interpretation scheme; for the detection, delineation, and quantification of sub-seafloor gas hydrate structures, Off shore Norway. For this purpose, I processed, analyzed and interpreted separately and jointly three datasets: CSEM, seismic and sediment cores datasets. These datasets are compared with SCA/DEM effective medium models to derive the hydrate saturation accurately. 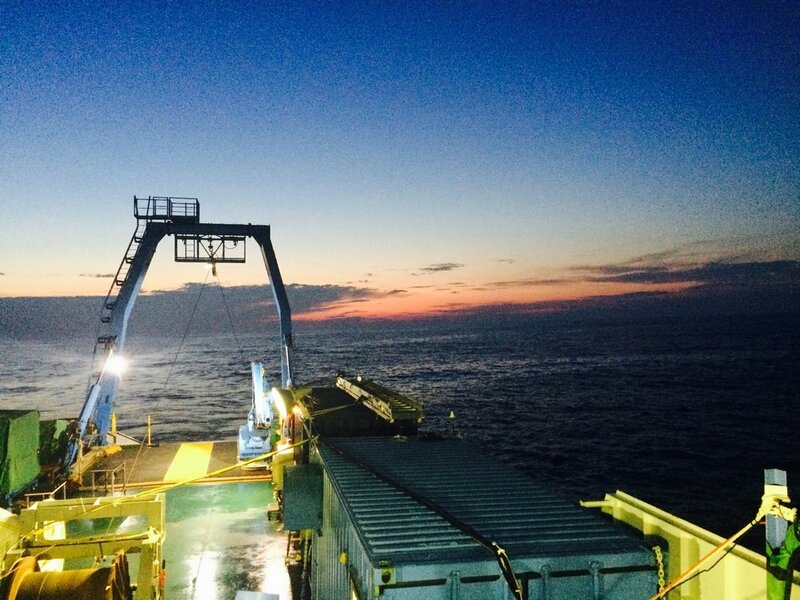 Blue Mining Project Research Cruise: The Blue Mining project is an international European consortium of 19 large industry and research organisations on various maritime fields of expertise, the "Blue Mining" consortium, will develop solutions that will bring sustainable deep sea mining a big step closer.